This entry was posted in Uncategorized and tagged design, gnome-os, gnome-shell, gnome-ux. Bookmark the permalink. 14 Responses to Shell Yes! why shell can’t be based on already existing code (e.g. unity) since it has proven to be really nice and working? does gnome really need to reinvent the already-existing whell only because the project didn’t start “from the inside”? if i was some-gnome-developer i’d prefer sticking with already existing and proved-working code instead of starting on my own, that’s why opensource exists, right? note: i’m not affiliated with ubuntu, canonical, kde, redhat, suse, whatever. just wondering watching the situation from blogs, etc. Is there a chance to get the slides as PDF instead of Flash? There should be a link to download as .odp on the slideshare page. @questioner You should ask that to Canonical. GNOME isn’t “reinvent the already-existing”, in fact they’ve been talking about the Shell for a long time. Unity was announced in May, I suppose. since when talking/gimping/inkscaping does count (if this is the case, i’m not sure..)? i thought code was the thing that really matters.. and no, i’m not ironic. note: i’ve seen a similar discussion in gnome-shell-ml. i didn’t subscribe/intend to do it. i just find this whole situation..funny. imo hackers should discuss code, not politics. how come there’s no gnome hacker that represents this position? i find this somehow strange. in the blogo-social sphere i see only chitchats/rants against canonical..
Take a look at http://git.gnome.org/browse/gnome-shell/ … the shell code has been available for a long time before unity was even announced. It was/isn’t just talk but its been developed in the open for a while. questioner: The blog post you’re looking for is http://www.markshuttleworth.com/archives/383 (scroll down to Relationship to Gnome Shell). Is it a problem that a lot of design in free software are developed in secret? Yes! We need to fix that together. BTW, applauds for the GNOME Shell for being 100% transparent in their design process, we need more of that! Jon: thanks for a great talk at Guadec, I became really inspired! @drago01: gnome-shell could have been out in the open for a while, but since it’s really far from mature (and it has been already delayed to next year!) while the other “vision” is already on real life devices (read “vision” as: unity, indicators, etc. )… what’s really stopping everyone? @andreas: i think that part of that paragraph is not true anymore. gnome-shell vision now really resembles unity with a few visual tweaks (and i think i also read somewhere now gnome-shell wants to address netbooks and such devices..). @all: my posts are meant to be read in sense of “optimizing manpower”. Do gnome really need to put efforts in coding something that’s slightly different from something else that’s already available? Unless there are critical issues in the code, and i guess this is not the case, i think this is really a waste of time. Is it a problem that a lot of design in free software are developed in secret? Maybe (i think this deserves another discussion), but nothing stops gnome developers from partecipating in/forking Unity as some other people are already doing now. The code is available (and it’s not hidden somewhere in the dark, it’s wild in the open), download, (edit? ), compile, run. gnome-shell can be now, if “gnome” wants. questioner: gnome-shell is developed in the open, the other one is not (atm maybe, but no guarantee for how long). Your asking the wrong developers. @questioner – ultimately, the answer to your question is that Gnome Shell predates Unity by several years, and therefore can hardly be accused of avoiding stuff done outside of Gnome. I think you have it backwards: GNOME is an implementation detail. We don’t use desktops only to stare at how awesome the Desktop Environment is, we use them to get the work done and for that we need fast and direct access to the applications, with a desktop to stand in our way as little as possible. Except that GNOME is not just Shell. GNOME is Nautilus (and Midnight Commander, and Terminal with good old bash), Eog (and F-Spot), Rythmbox (and Totem, or Banshee), Brasero, gEdit, Calculator, File Roller, Office (Abiword, gNumeric, ease…), Evolution, Epiphany, Empathy, XChat, Anjuta, as well as the miriad of small configuration utilities. Yes, GNOME is pervasive in the everyday activities. It is true that an user should not know “it is Nautilus from GNOME” more than “it is the window with my files”, but we should all work towards consistent applications and behaviour across every distro, platform or hardware system. The user doesn’t care if it is Linux, FreeBSD, NetBSD or GNU Hurd. It doesn’t care if the app uses HAL or udev, PolicyKit or gksu, ConsoleKit or POSIX job control, but it will care if notifications have actions or not, if configuration is under System -> Preferences or ->System preferences, if window buttons are left or right. 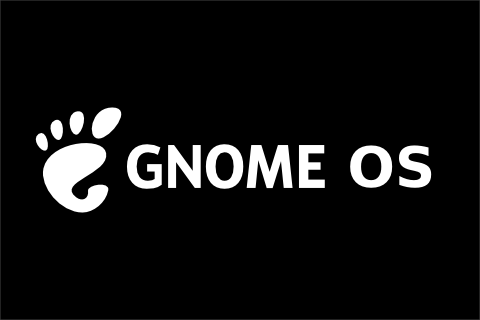 This is GNOME OS: a consistent experience everywhere.